REUTERSVladimir Putin listens to explanations beside Sergey Kirienko (L), head of Russia’s nuclear energy organisation, on March 4, 2009. In the years following the dissolution of the Soviet Union in 1991, Russia’s former American rival has spent billions helping Moscow secure a sprawling network of nuclear infrastructure, in the interest of lowering the odds that weaponised uranium might fall in the hands of extremists or rogue states. Now Russia may be planning to wind down those joint efforts, the New York Times reported. Sergey V. Kirienko, the head of Russia’s state nuclear company, told US Energy Secretary that no new contracts aimed at nuclear security for 2015 were envisioned “under current circumstances” — a concise reference to the ratcheting tensions between Russia and the West since its annexation of Crimea in March. “Typically, the Energy Department signs contracts with Russian labs or other institutions on projects to provide security upgrades or training,” according to the Times. These programs have included consolidating existing nuclear materials to fewer locations, converting reactors to operate on low (instead of highly) enriched uranium, and installing radiation detection hardware at border crossings with to help prevent smuggling of nuclear materials. 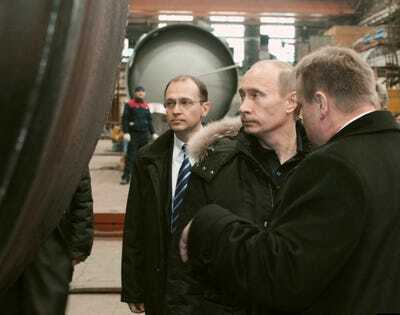 Kirienko made the caveat that Russia was willing to cooperate on nuclear security issues in other countries, including its hope to repatriate highly-enriched uranium from former satellites Belarus, Kazakhstan, Poland, and Uzbekistan. But Russia’s own security infrastructure leaves much to be desired.